This summer, we decided on a holiday to San Francisco, because my daughter wanted to go there. My husband and I had been before, but that was well over thirty years ago, so it was time for another visit. Usually when we travel in a group, each of us decides on one thing that we really want to see or do and we make that a priority on our "must see and do" list. Hence, my husband got to see a baseball game. We biked across the Golden Gate bridge - my daughter's choice and I got to see the "painted ladies." 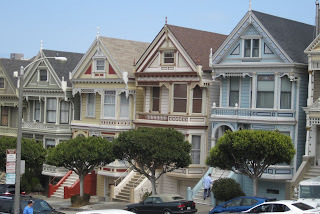 I had always presumed that everyone knew what the painted ladies were. I know the term is often used to describe prostitutes, however, it was not these painted ladies that I wanted to see. My daughter, as it turned out, was not familiar with the term and thought that I was dragging them to see some obscure painting in a dull art gallery - boring. However, once we got to Alamo Square and she realized what the phrase actually meant, she laughed hysterically. 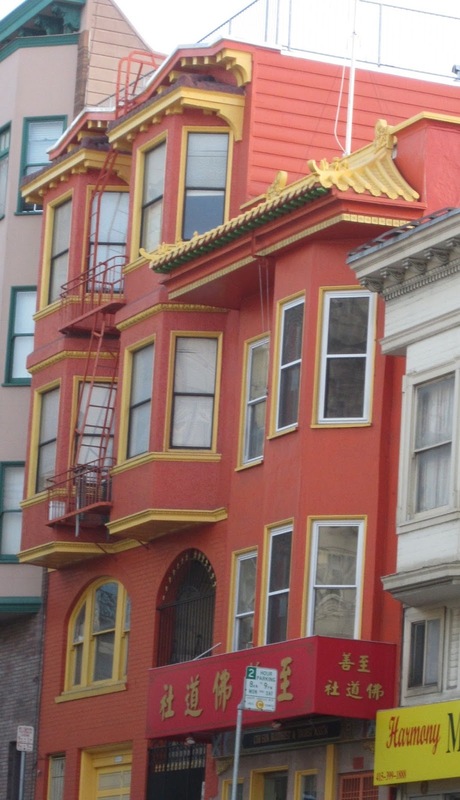 There were others too, all with the defining features of houses in SF - vibrant colours, bay windows and obvious fire escapes. 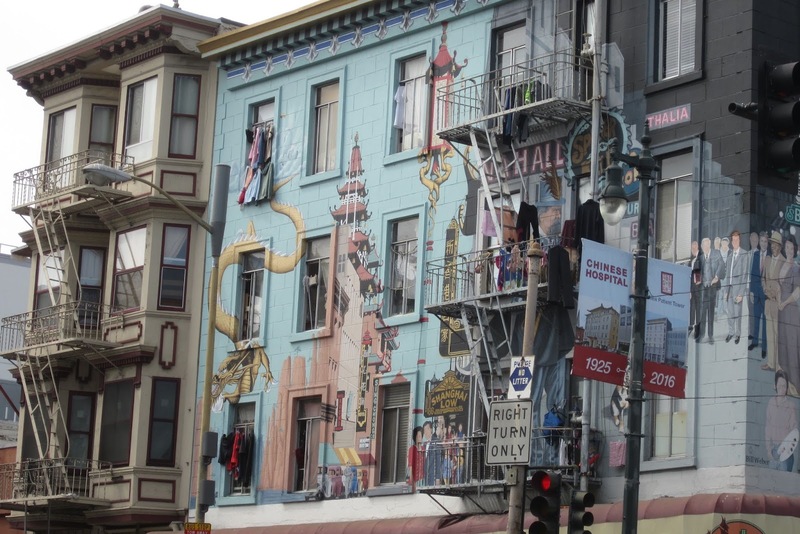 I also loved the striking murals on some of the inner city buildings - stunning architecture as a canvas for stunning art. 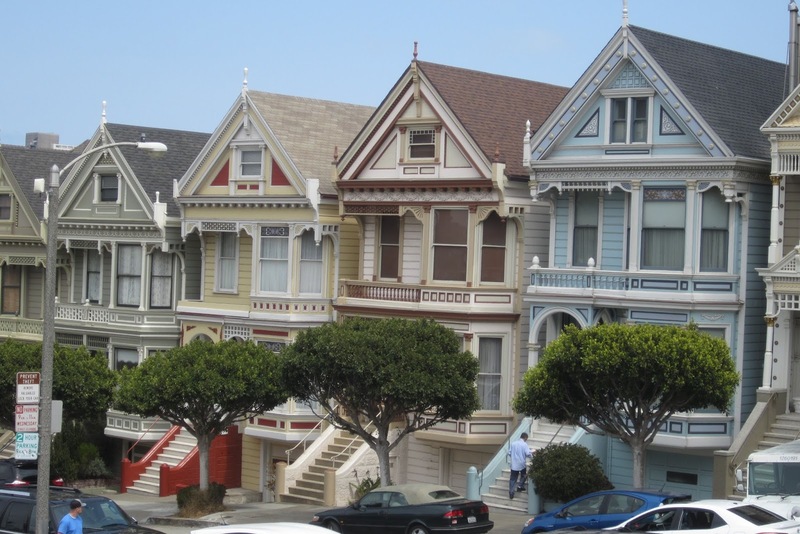 In fact, the city itself is an art gallery, with painted ladies a significant part of the collection! !